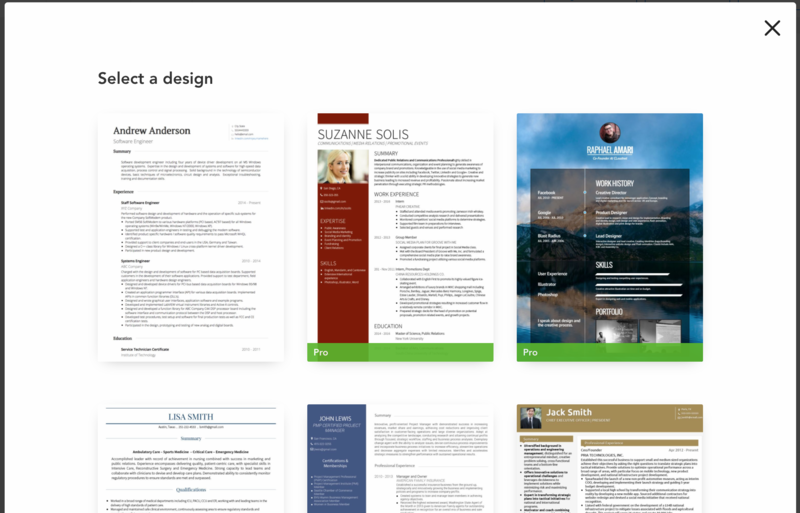 To change the design of your CV, first click the Templates tab from the left side menu. This will open a new menu with all of our template options. Choose a template by clicking on it. This template will now be used to display your content.